A lightweight pre-shampoo conditioner that shields strands from friction and further damage during washing, leaving hair luscious and healthy. 178 ml ℮ | 6.0 fl. oz. To learn more about Restructuring Pre-wash Conditioner, please contact your MONAT Market Partner. Created to be used BEFORE shampooing to protect over-stressed, over-processed, very damaged, brittle hair from friction and further damage. This deeply intensive, rinse-out conditioner dramatically improves hair elasticity and rescues damaged tresses from the inside out to rebuild, re-strengthen, restructure and resurface, leaving each strand looking smoother, shinier, stronger, more beautiful. 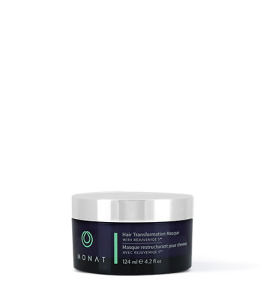 The secret to the effectiveness of this conditioner lies in MONAT’s two NEW innovative and exclusive ingredients: FIBER RESCUE™, that uses breakthrough hydrolyzed plant lipoprotein technology to target damage at the microscopic level, working to rescue and reconstruct every strand, and REJUVENIQE S™ activated oil which signals a healthy power boost that infuses the hair with intense hydration, youthful resilience and instant luminosity. Provides lightweight, effective, deep conditioning. Targets damage at the microscopic level. Hydrates and locks in moisture to improve hair’s elasticity, increasing resistance to breakage. Rebuilds and nourishes hair strands from the inside-out to help strengthen hair. 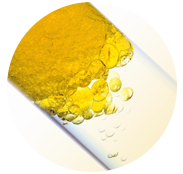 Non-build-up, plant-derived silicone alternatives improve slip and manageability. Rinses away clean, does not weigh down hair. Immediately restores softness and shine. Provides healthier, stronger hair full of long-lasting beauty. Allergy and dermatology tested, hypoallergenic. Before shampooing, apply the conditioner to hair. Massage into wet hair from lengths to ends. Leave on 2-3 minutes and rinse thoroughly.